London Fashion Week, the ultimate fashion festival, wrapped on Tuesday and one trend in particular leaped off the catwalks. Whilst Anya Hindmarch didn’t stage a show this year, she also used balloons to make a statement. On Valentine’s Day the designer placed giant helium-filled ‘chubby hearts’ around the capital’s famous landmarks. The balloons were an open love letter to London. 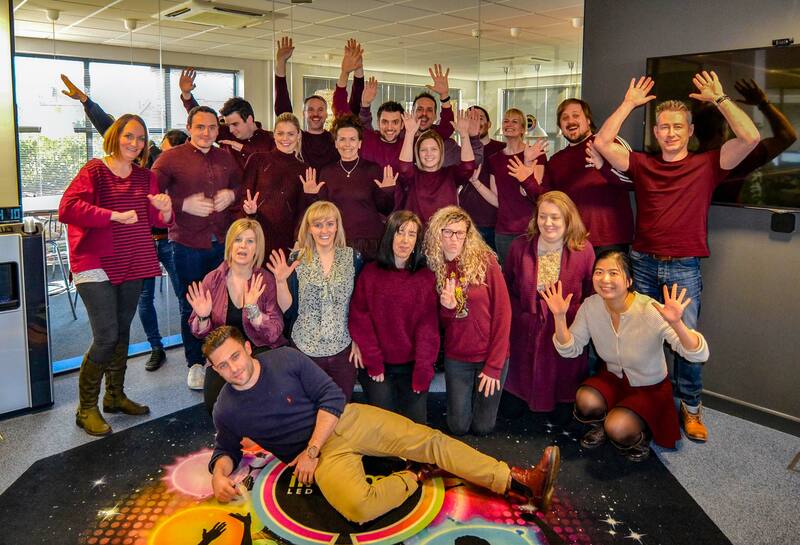 Finally, to prove how on trend the folks at illooms are we’ve declared burgundy to be the color of the season and have chosen to celebrate it today. Take a look at the photo we took in the office on National Burgun-Day! What do you think? 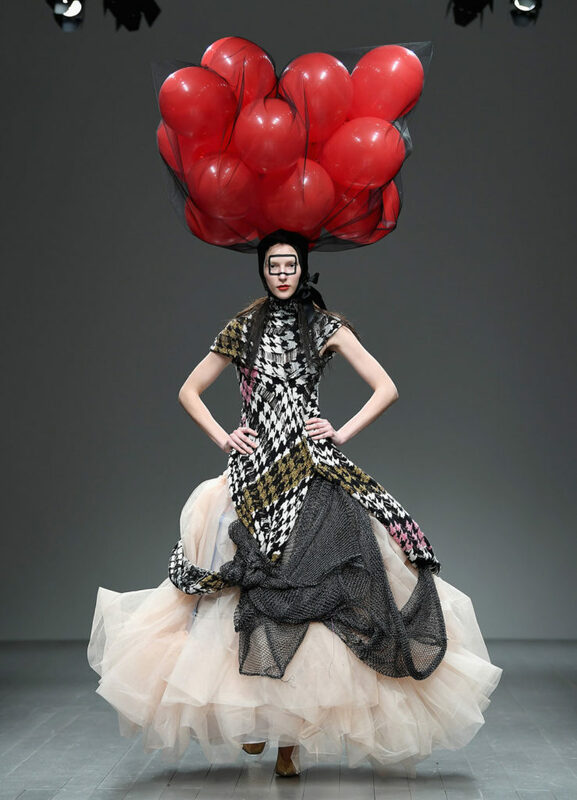 Are balloon head-dresses the future? Also, what do you think of National Burgun-Day? We’d love to know your thoughts in the comments below. If you fancy making your own illooms inspired costume, then please upload the results via our Upload Your Photos page as we’d love to see the results.